Comments: In this final rule, PHMSA is amending the Hazardous Materials Regulations to clarify requirements governing emergency response information services, Hazmat 800Number provided by arrangement with hazardous materials offerors (shippers). In order to preserve the effectiveness of these arrangements for providing accurate and timely emergency response information, PHMSA is requiring basic identifying information (offeror name or contract number) to be included on shipping papers. 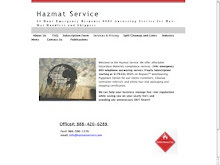 This information will enable the emergency response information provider / hazmat 800 number service provider to identify the offeror on whose behalf it is accepting responsibility for providing emergency response information in the event of a hazardous materials incident and obtain additional information about the hazardous material as needed. The effective date of this final rule is October 1, 2010. Click on examples to the right for proper placement of emergency response telephone number along with either offeror name or contract number. Hazmat Service helped me with my hazmat shipment to China. 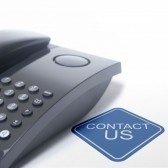 Helped obtain translated MSDS sheets along with an International Emergency Response telephone number. Thanks Again! And you are the best, thank you for the quick reply and contract number, have a wonderful weekend! Export - Wilton Brands Inc. Thanks for the great service and helping us obtaining our 24hr ER 800, International and contract number. Thanks to you guys we are all set to transport our Segway product and also the replacement batteries.